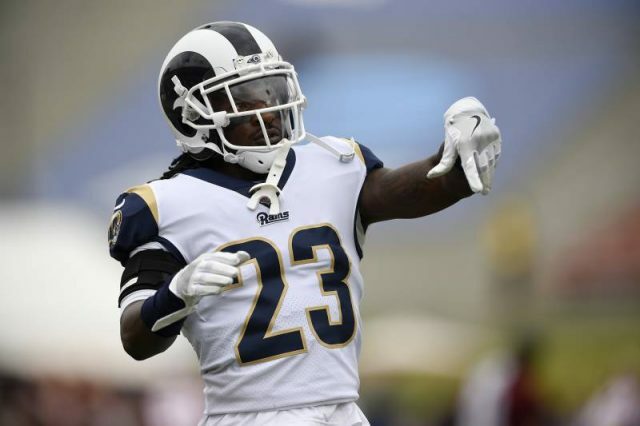 Five days before the Super Bowl, Los Angeles Rams cornerback Nickell Robey-Coleman has made a bold statement regarding his opponent. Robey-Coleman told reports that New England Patriots quarterback Tom Brady is clearly showing his age and not the same player. Robey-Coleman also explained in rather explicit detail to Bleacher Report’s Tyler Dunne on how to beat the Patriots. Robey-Coleman will be going against the 41-year-old quarterback in five days time in the Super Bowl on Sunday at 6:30 p.m.
3 comments on "Report: Rams Cornerback Takes Shot at Brady"
Time for Nickell Robey-Coleman to pee in the cup. A lot of players have claimed to know how to stop Tom Brady but there is a big difference in saying you can stop Tom and actually being able to do it. he has gone against some of the greatest defenses the league has to offer and picked them all apart and every once and while a safety or cornerback will get lucky and pick him off. As far as arm strength and accuracy goes even at his age there is none better in the league right now not even Show Time Mahomes at some point or another thru out a 16 game season all the quarterbacks go thru ups and downs and Tom Brady has far fewer downs then even the young guns in the league.